I have been using Gmail as my sole email client for years now, and I'm a big fan. But there's one key thing I need my email client to do that Gmail doesn't offer: Follow-ups. When I send an email, I often want to be reminded if the recipient hasn't replied within a few days, so I can resend my message or find out what happened. To me, this is absolutely crucial, which is why I was so happy to find Right Inbox for Gmail. Right Inbox is just one option in a highly competitive market of email reminder and follow-up services: There's Boomerang, which is pretty costly if you're using Google Apps ($15 per month). There's Followup.cc which is great, and client-agnostic, but that also means it doesn't integrate into Gmail. The list goes on, but my current favorite is Right Inbox, thanks to its seamless integration with Gmail and affordable price. This $5-month service adds a couple of new buttons that blend in well with Gmail's native ones, and presto: You can now follow-up and track emails. 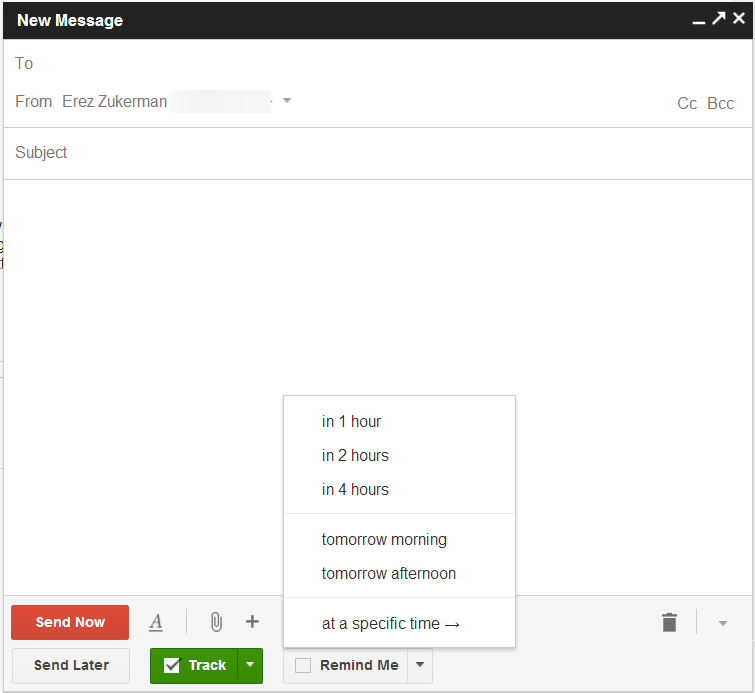 Right Inbox makes it easy to specify when you want to be reminded of an email, and whether or not it should be tracked. When composing a new email, you need only click the new Remind Me button, and specify when you want Right Inbox to remind you of this thread so you can check up on it. Right Inbox for Gmail offers several preconfigured times, ranging from hours to tomorrow morning, and tomorrow afternoon. You can't configure your own favorite intervals (one of the service's few annoyances), but you can pick other intervals using a calendar pop-up. When a recipient opens a tracked email, Right Inbox for Gmail will send you a detailed report including their location and IP address. Right Inbox for Gmail also offers delayed email sending: For example, you could author an email during the weekend, and have it automatically sent out first thing Monday morning. Finally, you can also enable email tracking, a feature that lets you know when you recipient opened the email. Tracking uses a small, invisible image embedded into the email, so it only works if the recipient opts to display images included with the email (many email clients don't display images by default). Note: The Download button takes you to the Chrome Web store, where you can install the latest version directly into your Chrome browser. 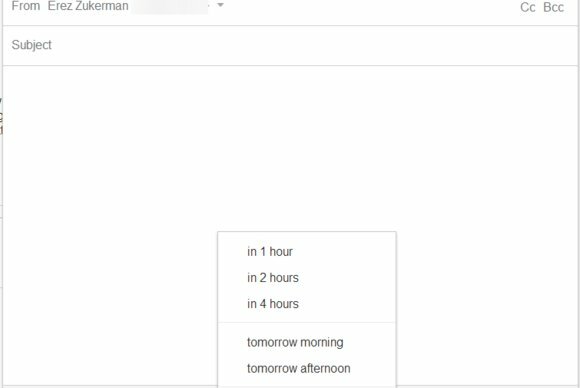 This Chrome extension allows you to schedule emails for later sending and track sent emails.